Thus science is much closer to myth than a scientific philosophy is prepared to admit. It is one of the any forms of thought that have been developed by man, and not necessarily the best. It is conspicuous, noisy, and impudent, but it is inherently superior only for those who have already decided in favour of a certain ideology, or who have accepted it without having ever examined its advantages and its limits. And as the accepting and rejecting of ideologies should be left to the individual it follows that the separation of state and church must be supplemented by the separation of state and science, that most recent, most aggressive, and most dogmatic religious institution. Such a separation may be our only chance to achieve a humanity we are capable of, but have never fully realised. Fundamentally my objection is that Feyerabend seems to leave no room at all for rationality in science: no scientific method, no grip for observation, and no force to scientific reasoning. A cartoon takeaway from his work is a slogan: science is just another language game, a rhetorical system, with no claim to rational force based on empirical study and reasoning. Feyerabend seems to be the ultimate voice for the idea of relativism in knowledge systems — much as Klamer and McCloskey seemed to argue with regard to economic theory in The Consequences of Economic Rhetoric . This isn’t a baseless misreading of Feyerabend. In fact, it isn’t a bad paraphrase of Against Method . But it isn’t the whole story either. And at bottom, I don’t think it is accurate to say that Feyerabend rejects the idea of scientific rationality. Rather, he rejects one common interpretation of that notion: the view that scientific rationality can be reduced to a set of universal canons of investigation and justification, and that there is a neutral and universal set of standards of inference that decisively guide choice of scientific theories and hypotheses. So I think it is better to understand Feyerabend as presenting an argument against a certain view in the philosophy of science rather than against science itself. Here are a few reasons for thinking that Feyerabend endorses some notion of scientific rationality. First, Feyerabend is a philosopher and historian of science who himself demonstrates a great deal of respect for empirical and historical detail. The facts matter to Feyerabend, in his interpretation of the history of science. He establishes his negative case with painstaking attention to the details of the history of science — Newton, optics, quantum mechanics. This is itself a kind of empirical reasoning about the actual intellectual practices of working scientists. But if Feyerabend were genuinely skeptical of the enterprise of offering evidence in favor of claims, this work would be pointless. 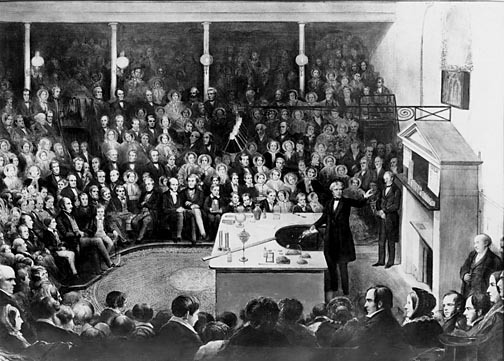 Second, his own exposition of several scientific debates demonstrates a realist’s commitment to the issues at stake. Take his discussion of the micro-mechanisms of reflection and light “rays”. If there were in principle no way of evaluating alternative theories of these mechanisms, it would be pointless to consider the question. But actually, Feyerabend seems to reason on the assumption that one theory is better than another, given the preponderance of reasons provided by macro-observations and mathematical-physical specification of the hypotheses. This passage is “moderate” in a specific sense: it doesn’t give absolute priority to a given range of empirical facts; but neither does it dismiss the conditional epistemic weight of a body of observation. So as a historian of science, Feyerabend seems to have no hesitation himself to engage in empirical reasoning and persuading, and he seems to grant a degree of locally compelling reasoning in the context of specific physical disputes. And he appears to presuppose a degree of epistemic importance — always contestable — for a body of scientific observation and discovery. What he seems most antagonistic to is the positivistic idea of a universal scientific method — a set of formally specified rules that guide research and the evaluation of theories. Here is how he puts the point in “On the Limited Validity of Methodological Rules” (collected in Knowledge, Science and Relativism ). The idea that science can, and should, be run according to fixed and universal rules, is both unrealistic and pernicious. It is unrealistic, for it takes too simple a view of the talents of man and of the circumstances which encourage, or cause, their development. And it is pernicious, for the attempt to enforce the rules is bound to increase our professional qualifications at the expense of our humanity. In addition, the idea is detrimental to science, for it neglects the complex physical and historical conditions which influence scientific change. It makes our science less adaptable and more dogmatic: every methodological rule is associated with cosmological assumptions, so that using the rule we take it for granted that the assumptions are correct. Naive falsificationism takes it for granted that the laws of nature are manifest and not hidden beneath disturbances of considerable magnitude. Empiricism takes it for granted that sense experience is a better mirror of the world than pure thought. Praise of argument takes it for granted that the artifices of Reason give better results than the unchecked play of our emotions. Such assumptions may be perfectly plausible and even true. Still, one should occasionally put them to a test. Putting them to a test means that we stop using the methodology associated with them, start doing science in a different way and see what happens. Case studies such as those reported in the preceding chapters show that such tests occur all the time, and that they speak against the universal validity of any rule. All methodologies have their limitations and the only ‘rule’ that survives is ‘anything goes’. His most basic conclusion is epistemic anarchism, expressed in the “anything goes” slogan, but without the apparent relativism suggested by the phrase: there is no “organon,” no “inductive logic,” and no “Scientific Method” that guides the creation and validation of science. But scientists do often succeed in learning and defending important truths about nature nonetheless. @Herman,I too think that Feyerabend is very relevant for economists. However, no economist has (Except McCloskey) has taken Feyerabend 'seriously'.